Connect your business. Bring people, processes, and data together to manage your business end to end. Make smarter decisions. Get a complete picture of your business with easy to create dashboards and built-in analytics that proactively inform and guide employees. Start and grow easily. Get up and running quickly and meet your unique business needs by easily integrating add-on applications and industry-specific solutions. 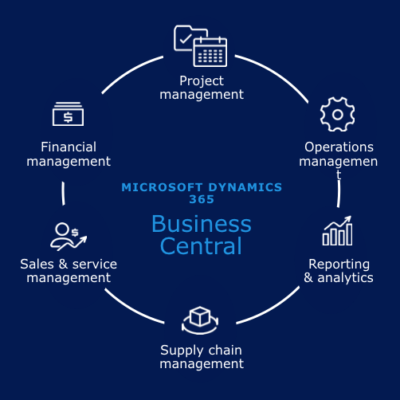 Ready to Accelerate Your Growth Via the Cloud with Business Central? Let us help you! Our knowledgeable team will guide you to pull your systems and processes together. You’ll have a more complete picture across your business, with reports when and where you need them.